News from the South Pole!! Thank you very much for the email asking about life at South Pole. That is great that you are starting to learn about the world's ice sheets. As you may know, Antarctica is the largest ice sheet on Earth. I am so excited to experience life at South Pole Station, and am happy to answer your questions. 1) How many days off do you get and what do you do when you are not working? 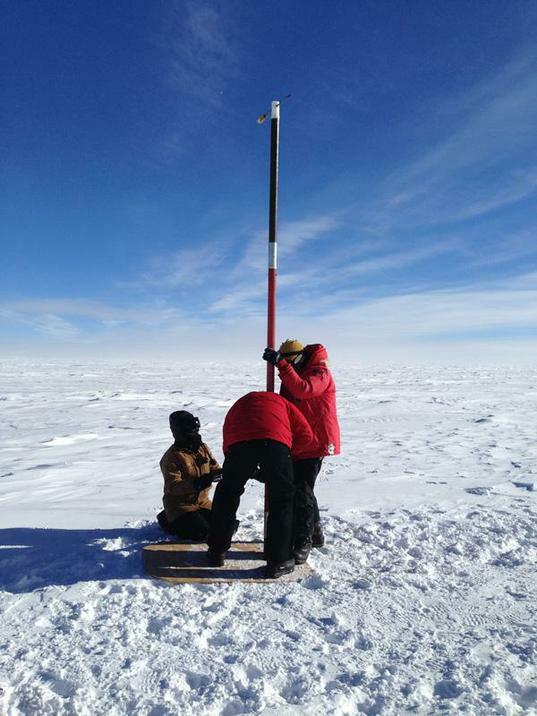 I am working on a project to collect an ice core from an area a few kilometers from South Pole Station. To meet our team goal, we are working 6 days each week, 20 hours a day. I am on the night shift and I work from 8.30pm to 7.30am each day. I have one night off per week. When I am not working, I like to visit different parts of the South Pole Station. There is a greenhouse room here, where herbs and vegetables grow. There is also an arts and craft room. Some nights each week we play sports in the gym. My favorite sports classes are yoga and circuit training. 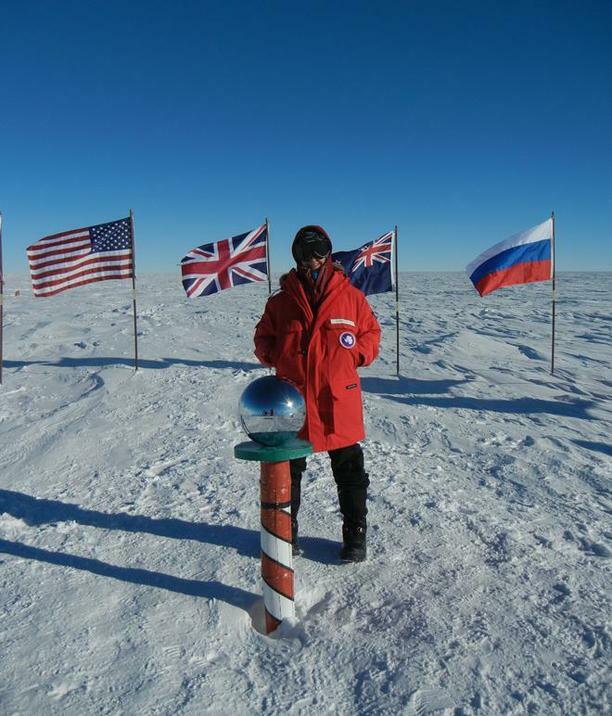 2) How hot does it get at the South Pole? 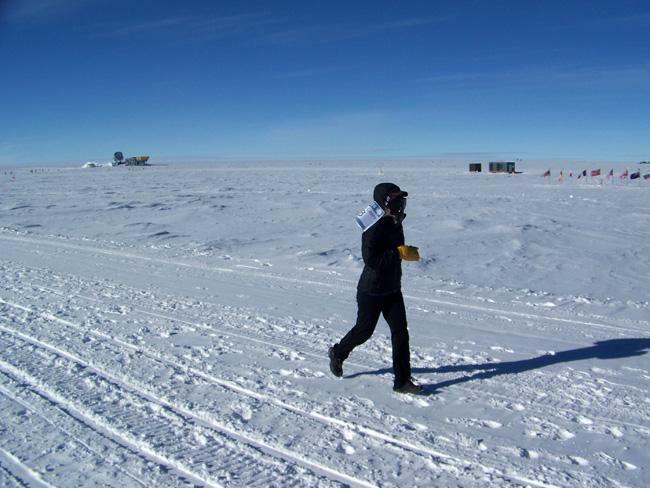 The coldest temperatures I've experienced this summer at South Pole station have been around -40 C. Then we really require big heavy coats, face masks, big boots and snow pant bibs to stay warm. 3) Why did you want to be a scientist and how did you get to be a scientist? This is a great question. I wanted to be a scientist because when I was young I was very concerned with how Earth's systems worked together. I was fascinated by how the water cycle works, and how nutrients are used and shared from soil to organisms. I also wanted to learn more about pollution and clean energy. My Mom said she noticed that I would always pick up trash on outdoor hiking trips, as I wanted to keep the Earth clean. To become a scientist, I took many different types of math and science classes. In order to understand how Earth systems work, one needs to study a lot of different disciplines, including math, chemistry, biology, physics and geology. I completed college and went on to receive a doctorate degree in mathematics and science. 4) How long would you be able to survive outdoors at the South Pole? People are actually able to survive outdoors at South Pole for as long as they have preparations for. There are some people camping in tents outside of station right now! Some people like to take ski trips from the coast of Antarctica all the way to South Pole and back. As long as one brings enough clothing to stay warm, and food to stay nourished, one can survive outdoors several days or months. 5) What sort of animals have you seen at the South Pole and is it dangerous? At the South Pole, there are no animals. The climate is too cold and windy for animal life to survive for too long. Also, there is not much in the way of food sources for wildlife here. There are no large plants growing outside, no insects or other sources of food for wildlife here at South Pole. Being a human, it is not too dangerous at South Pole, as long as one has proper clothing and food to survive. I've attached a few pictures taken here at South Pole this season. I hope you enjoy them and enjoy learning about the ice sheets. Thank you again for your email. Best wishes to your class from South Pole Station.